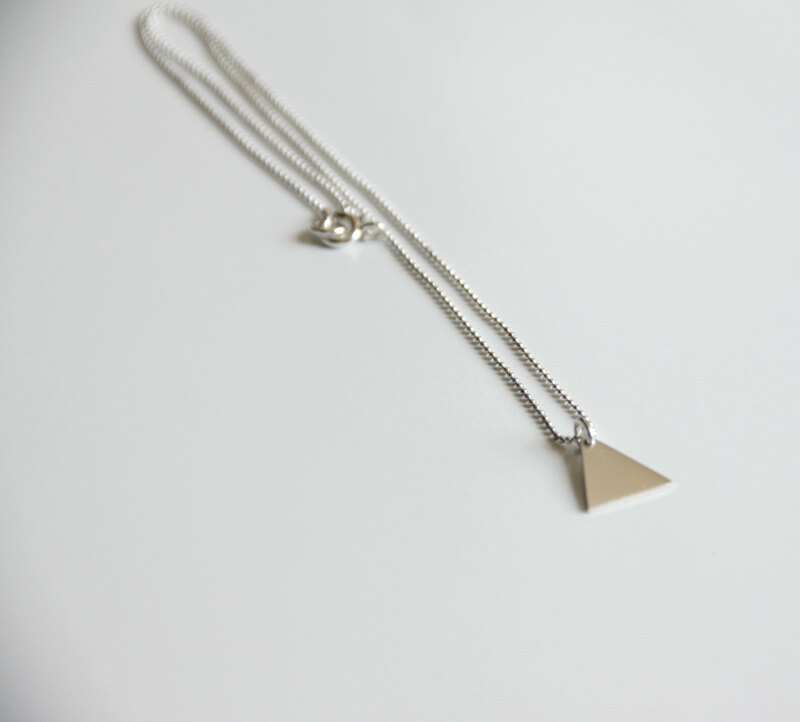 - The triangle is made of sterling silver and it hangs on a delicate sterling silver ball chain. 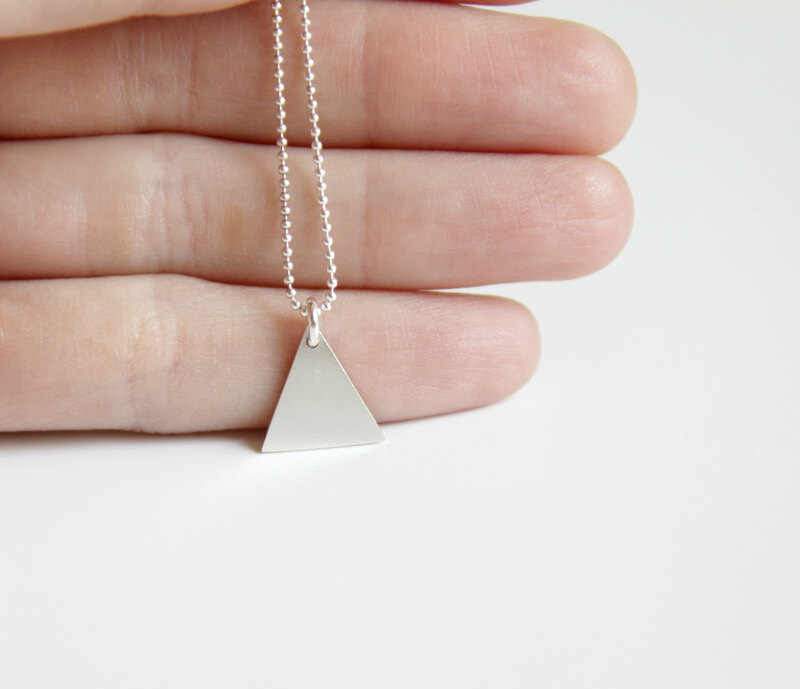 - The triangle measures 1.2cm (0.47 inch) long by 1cm (0.39 inch) wide. - The necklace measures 43cm (16.93 inches) long.